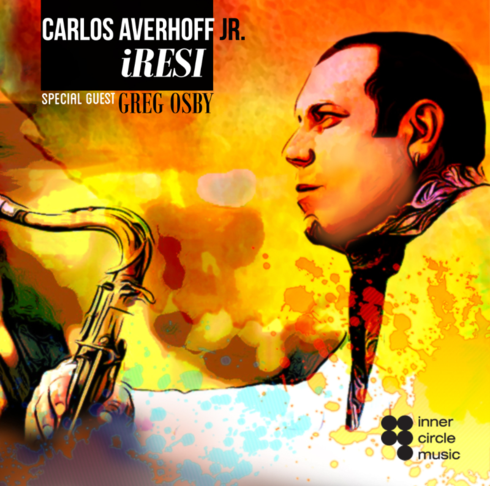 Tenor saxist Carlos Averhoff Jr. creates a two sax front line with altoist Greg Osby along with Francisco Mela/dr, Aruan Ortiz/p and John Lockwood/b on this album that is filled with rich harmonies and exciting grooves. The teams bops well on soul groovers such as “Over Structure” and the lightly latin “iRESI” while Averhoff’s tenor is rich and muscular on the dark “Your Feelings” and the warm ballad “Alina.” Osby sounds comfy in a supporting role here, and gets nice and bluesy on “Amorphous” and fresh and cute on “ Con Calma.” The rhythm team shows it’s celerity on the choppy “So far From Cuba” and bopping cops on “La Caldoza” with Ortiz getting some nice solo space. Adventurous without going overboard.